It is very typical for couples who do not have a common family trust to have title in their name as joint tenants when acquiring real property. If one of them die the surviving joint tenant is the 100% owner without having to probate the deceased spouse’s 50% interest. Title is transferred by operation of the law. The same discussion is also true for stock accounts where stock broker and their firms use joint tenancy for holding title. I recently had a discussion about my wife’s and my’ stock account that is held in joint tenancy and the broker did not know about the tax impact discussed in the below example. I am in the process of preparing a community property agreement discussed in the last paragraph as a solution to have a 100% step up basis rather than only 50%. Unfortunately, there is a potential income tax trap to the surviving spouse, if the real property is sold and there is significant appreciation. 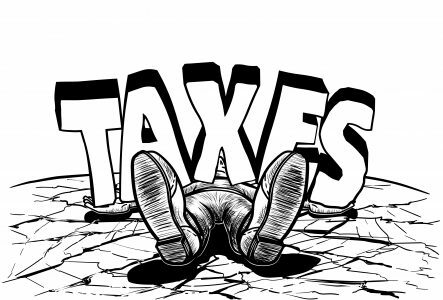 The income tax trap is that the original cost of the real property (basis for income tax purposes) does not step up to the current fair market value 100% but rather only 50% on the death of the first spouse to die. Had the same property been held in the names of the spouses as community property with rights of survivorship, title would have been transferred to the surviving spouse by operation of the law (same as joint tenancy) and the basis in the real property would be stepped up 100%. Let me give you this simple example. H and W purchase a rental property for $100,000 and when H dies 10 years later the rental property is worth $500,000. H and W hold title as joint tenants which means that only H’s 50% is stepped up to $250,000. W sells the real property for $500,000 and incurs a gain on her 50% interest of $200,000 ($250,000 – $50,000). If the real property were held as community property with rights of survivorship there would have been no income tax gain! In 1998 the Tax Court in Young Est. v. Comr., 110 T.C. 297, 300-01 (1998) ruled that, under California law, “property cannot be joint tenancy and community property, as these two types of interest are mutually exclusive.” Characterizing the real property interests owned by a resident alien couple, one of whom did not speak English, as joint tenancy and finding no evidence rebutting the presumption created by the record title, under which the couple held the parcels as joint tenants with right of survivorship, the court ruled that, in contrast to community property, the couple’s joint tenancy property did not qualify for a fractional interest discount or lack of marketability discount in husband’s estate. One of the documents that I use in my planning with clients is to have a community property agreement that help rebut the presumption that any joint tenancy assets are not to be considered community property. This agreement is used often with a summary probate proceeding to claim the joint tenancy asset to be community property by the probate court.